Calling all Couples In Winnipeg interested in a destination wedding abroad who have not booked their travel or wedding plans yet! RSVP of our destination wedding show and info session has been extended to Friday, August 19, 2011. Just a few more spots left! 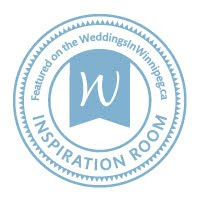 We just wanted to take a moment to invite you to a special event in Winnipeg! Please R.S.V.P. by Friday, August 19, 2011 if you are interested. Space is limited and Admission is free! more exclusive only to those who attend. Is an international or local destination wedding right for you? • Exclusive discounts will be given to all couples in attendance from some of our sponsors. Our list of prizes and gifts keeps growing. Every couple will be given a swag bag! **Note Azul Resorts in the Mayan Riviera will allow all couples who attend the bridal info session to be entered in their draw for the free trip and anyone who books their hotel within 30 days of the show receives a free upgrade! The August issue will be available to all attendees! Space is limited. We ask only 2 guests per wedding group.